Leroy L. Stoltzfus, 85, of Manheim, died Sunday, April 16, 2017 at the Mt. Hope Nazarene Retirement Community. He was the beloved husband of Sara L. (Mast) Stoltzfus. 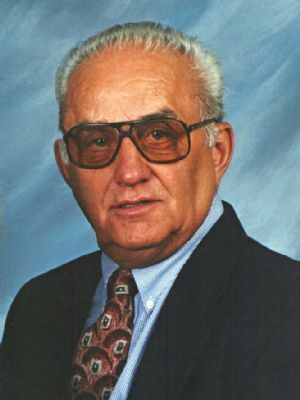 Leroy was born in Gap, son of the late Benjamin and Hannah (Lantz) Stoltzfus. He worked for Ford, New Holland as a tow motor operator, retiring in 1994. In his younger years, he was an avid outdoorsman, enjoying hunting trips to Montana and Wyoming with friends. Leroy was a sports enthusiast. He loved watching football and baseball on TV and discussing sports stats with his son. He was a kind-hearted man who loved his family. In addition to his wife, Leroy is survived by his son, Jefferson W. Stoltzfus, husband of Erin Faunce-Stoltzfus, a daughter, Andrea wife of Joshua Weaver, and 4 grandsons, Noah Stoltzfus, Finn Stoltzfus, Kellen Weaver and Quincy Weaver. He was preceded in death by two sisters, Elsie Stoltzfus and Anna Mary Huyard, and one brother, Jonas Stoltzfus. Relatives and friends are invited to attend a memorial service for Leroy on Friday, April 21st at 11AM at Grace Point Church of the Nazarene, 110 Durlach Rd., Ephrata PA. Relatives and friends are also invited to visit with Leroy's family prior to the service, from 10AM – 11AM. In lieu of flowers, contributions in Leroy's memory may be made to Mt. Hope Nazarene Retirement Community.